On Tuesday, the highest court in the European Union ruled that Google must grant its users a right to delete sensitive information from the company’s search results. The decision, which favors a ‘right to be forgotten’, is a huge blow for the company, who has sought to avoid removing information from its site in the past. With the ruling, the European court indicated that individuals have the right to have links to unflattering material removed from the Internet, even if the original content was true and legally posted. Google has been mandated by the EU to assume both the responsibility and cost for removing the information. The legislation began in 2009 when Mario Costeja, a lawyer in Spain, searched his name in Google and saw articles dating back to 1998 that detailed his accumulated debt and forced sale of his property. Years later, the debt was resolved, and the issue was no longer relevant. After both the newspaper publisher and Google refused Costeja’s requests to have the information removed, he complained to the Spanish Data Protection Agency, who then ordered Google to remove the links. 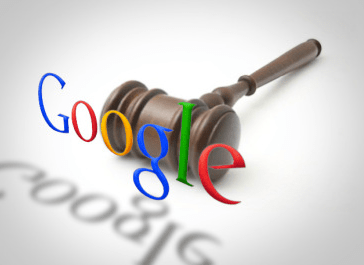 Google challenged the order, which was then placed in front of the European court for advice on how to rule. On Tuesday, the European court made its final ruling: Google controls the information and thus is responsible for removing it from its site. But the most important takeaway to the legislation is that people have a right to forget the setbacks of their past. While we applaud the EU for ruling in favor of consumer privacy and the right to be forgotten, in the United States consumers continue to struggle with removing their information from Google. While we wait for US legislation to catch up with the privacy-forward ways of the EU, Abine offers a viable solution for right now. With Abine’s DeleteMe, you can have your personal information removed from the largest people search sites on the internet. We put in the leg work for you, contacting people search sites that post your information that come up on Google. If Google has an obligation to remove certain information about a person due to privacy concern then it should assume the right to forget the person, business, organization, or group all together. If a person or company requested Google to delete specific information from the browser then the existence of that individual, company, or group should be cleaned from the system completely and permanently. This purge of information from the web will be a safe guard to the public at large who depend on accurate information in dealing with legitimate individuals, businesses, and organizations. Government organizations legislating private enterprise is Communism in its purest form. The only way to fight the government legislation is to take their legislation to its purest end result. The internet is our best and cheapest source of information at this time. It is used by individuals searching the best books to buy, to the governments of nation on earth. Now the EO wants to corrupt everything that has been built because a few people did things they do not want others to know about. Well that’s too bad, you should have thought about your actions before. Sure, there is some “bad” information out there, however, with research, that information can be corrected or disputed. Its not the governments responsibility to legislate actions to clear up your mistakes. Please excuse the grammar, its late and I am tired. Surely you get the absurdness of this ruling. The problem is knee jerk reactions and perceptions from people EXACTLY like yourself which may not be accurate representations of that individual. I’m not going to try to correct all of the incorrect chains of logic in your comment. Instead, I will settle for just pointing out one error, which happened to also be off topic, as is typical with ideologues such as yourself. No it is not. You don’t understand what Communism means. Please, at least try to read something from a source which you did not preselect in order to reinforce your existing views. In this manner, if done sincerely, you will grow both individually and intellectually, and avoid making absurd statements on the Internet. One topic, off the top of my head, you might attempt to explore would be Japan’s MITI, and how it fostered and incubated many of its largest companies. So, how about we burn all the books that mention people in a manner to which they object? Oh, and whilst we are at it all the newspaper articles, and let’s not forget the film archives too. Heck, what about copies of stuff that individuals might have made and stored somewhere, those might just come to light again too one day………. For goodness sake! The internet is no different to any other published media, it has simply made information easier to retrieve. If individuals or organisations wish to have information about themselves removed let them deal with it on a case by case basis, which would undoubtedly mean using the legal system available to them. This appears to be one of those ‘hammer to crack a nut’ cases yet again. Yes, there is much to mislead out there, but then guess what, we are human beings – prone to making mistakes, telling falsehoods and often doing bad deeds. Quite simply, that’s life and “no man is an island”! Deal with it. please remove article of news paper published 7 years ago. it still damage me. You were guilty of a savage attack, a sickeningly disguised MONSTER who attacked an unguarded frail victim whose trust you’d been given but that disappeared when suddenly overcome by sheer TERROR, she CANNOT forget that HORROR! Still she suffers, haunted by your ghastly image. You then tried to put the blame squarely at the feet of your victim proving you could still sink lower than the depths you’d already reached. Now you demand a veil so to prey upon others if blinded by SICK disguise from the DEMON you hide. Witness the DEVIL before he attacks,see the MONSTER you see in your every reflection. “It still damage me” YOU caused your own demise with the HAVOC you WREAKED and the STENCH you left behind!! The fact that google refuses to delete an article 7 years old containing information about someone’s credit is stupid. They got what they deserved, in my opinion. WHY? A savage, sickeningly disguised MONSTER attacked an unguarded frail victim whose trust disappeared, suddenly overcome by sheer TERROR, she CANNOT forget that HORROR! Still she suffers, haunted by your ghastly image. Now you demand a veil so to prey upon others if blinded by SICK disguise from the DEMON you hide. Witness the DEVIL before he attacks,see the MONSTER you see in your every reflection. “It still damage me” YOU caused your own demise with the HAVOC you WREAKED and the STENCH you left behind! !